o2switch Review 2019: Is o2switch a Good Hosting? 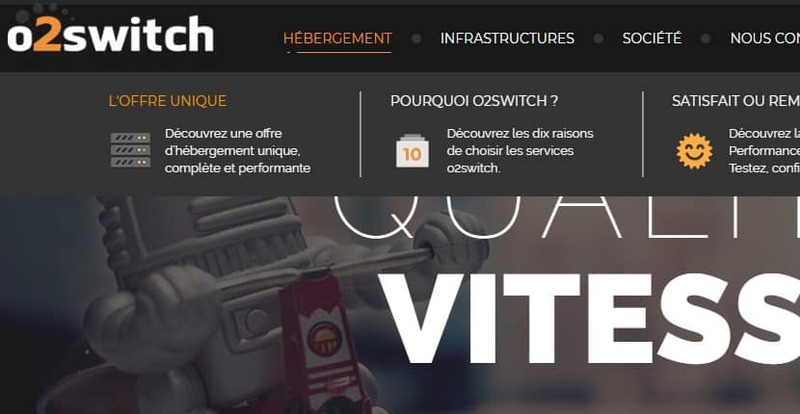 o2switch is a French website hosting company that offers affordable, flexible, and transparent hosting solutions to individuals and businesses in France and the surrounding countries. Unlike most other hosting companies, o2switch offers only one website hosting package and a 30-day refund guarantee if you are dissatisfied with the plan. Though o2switch has not been in the website hosting business for as long as many of its competitors, they have grown to become one of the most preferred web hosting service providers in France. The French company has focused on offering affordable, flexible, and transparent hosting solutions to individuals and businesses in France and the surrounding countries. o2switch has an independent structure that uses advanced technologies to provide excellent solutions that meet the needs of their clientele. In addition to dominating the hosting solutions market in France, the web hosting vendor has a significant presence in Canada, Belgium, Switzerland, and the United Kingdom. The website is only available in French. 100% data centers ownership – all the servers and data centers are located in France and are the property of o2switch. None of its servers are subcontracted. Advanced redundancy protocols for high availability – o2switch uses several different internet providers and advanced redundancy protocols so that if one fails, the other can immediately take over. o2switch believes in simplified, flexible, reliable, and transparent hosting solutions. They, therefore, go out of their way to design a web hosting solution for use even by someone who is building their very first website. It is a great hosting provider for beginners. o2switch offers only one web hosting plan and a 30-day refund guarantee if you are dissatisfied with the plan. What’s more, the French company will not require you to provide any justification for your decision. The all-inclusive offer is affordable yet it comes fully-packed with an array of features that both beginners and experts would be extremely excited about. Instead of spending a lot of time trying to choose between many different packages, o2switch simplifies the decision-making process by providing a single package backed by server infrastructure that o2switch fully owns. In addition, o2switch has knowledgeable and experienced support staff on standby 24/7 to deal with any issue you may encounter. The support team is made up of technicians who know their way around Mac, Windows, and Linux systems. What’s more, the company conducts its business in a transparent manner allowing you to see in real time the current state of services, even informing you in advance of any scheduled maintenance. On the website, o2switch has included a number of support phone numbers for the different countries in which their customers reside. While the ticketing system is available 24/7, over-the-phone and live chat support are only available during business hours. My experience with o2switch support was decent and I received the information I was seeking. O2switch is the web hosting vendor to choose if you want a simplified, affordable, and transparent web hosting solution. It is especially a great web hosting vendor for anyone who is creating their very first website. Wondering how o2switch stacks up against other Web Hosting companies? Enter any other Web Hosting company and we will give you a side-by-side comparison.